– All classes are at Fairhaven Library, 7:30 P.M. each Wednesday. PLEASE ENTER FROM PARKING LOT AND PROCEED UPSTAIRS. We are delighted to have you visit the Bellingham Scottish Country Dancers web site and hope you will take a few minutes to find out who we are..
New to Scottish Country Dancing and/or the Bellingham club? 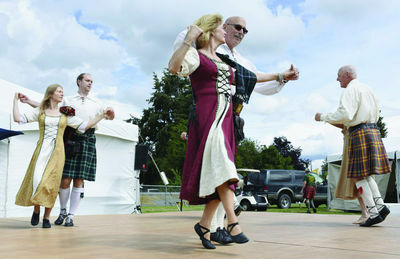 Find out more About us and see upcoming events on our Dances & Events and Calendar pages. Want to see what Scottish Country Dancing (SCD) is all about? Come to one of our Classes, a Social Dance, come see our Demonstration Team at a Dance Performance or watch the video from the Vancouver Jubilee Ball. You can also see what other area SCD clubs are doing by checking our Links. No prior dance experience is necessary to participate in our activities, you don’t need to bring a partner, and kilts are not required! We have a Flickr Group so you can upload your photos and videos of BSCD events. 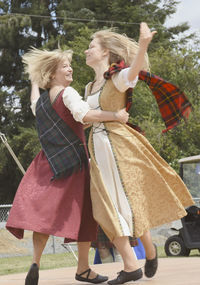 If you’re already a member of Flickr, simply join the Bellingham Scottish Country Dancers group and start adding your photos. Click here for easy instructions on how to join the group. Flickr membership is free and adding photos is easy. Check out the Flickr web site for easy sign up information. Have photos, but don’t want to join Flickr? No problem! Send us your photos and we’ll add them to the group so we can all share.